Badminton news to start the podcast today. India's Kidambi Srikanth qualified for the men's singles quarter-final at the Malaysia Open on Thursday while an erratic PV Sindhu lost in straight games in women's singles. Eighth-seeded Srikanth, who had reached the final of a BWF World Tour event after 17 months at the India Open last week, defeated Thailand's Khosit Phetpradab 21-11, 21-15 in just over half an hour to set up a clash with Olympic champion and fourth seed Chen Long of China in his next match. Srikanth opened up a 6-2 lead early on and then jumped to a 14-6 advantage. He dominated the proceedings to pocket the opening game. In the second game, Srikanth took an early lead and held fort to comfortably close out the match. 26-year-old Srikanth is now the only Indian in the fray at the BWF World Tour Super 750 tournament. 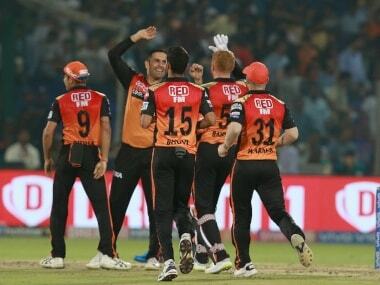 Mohammad Nabi of SRH celebrates after taking the wicket of Rishabh Pant of DC. In the women’s draw, fifth seed Sindhu blew a 13-10 advantage in the opening game to go down rather meekly 18-21, 7-21 to World No 10 Sung Ji Hyun for her third straight defeat to the Korean. She had lost to Hyun in the first round of the All England Championship and the 2018 Hong Kong Open. The mixed doubles pair of Pranaav Jerry Chopra and N Sikki Reddy lost 21-15, 17-21, 13-21 to Tan Kian Meng and Lai Pei Jing of Malaysia as Indian doubles players bowed out of the tournament. In hockey news, the Indian women's hockey team defeated hosts Malaysia 3-0 on Thursday in the opening game of a five-match series. Malaysia got a head start with a penalty corner in the third minute of the match, but the experienced Savita who was guarding the Indian goalpost saved it. India then shrugged off the initial nerves and Lalremsiami took a shot on goal in the fifth minute but her effort was thwarted. The Indians made more attempts at goal, and after a goalless first quarter, they broke through in the 17th minute when Vandana Katariya scored a fine field goal. With a one-goal cushion, India maintained a good structure and controlled the proceedings in the third quarter too. The sustained pressure from the Indians saw Malaysia concede three penalty corners but all the chances went in vain. India then scored in the 38th minute through another field strike by young striker Lalremsiami. The visitors scored goal number three in the 60th minute as Vandana struck home just seconds before the final whistle. The second match of the series will be played on Saturday. In cricket news, India’s ODI vice-captain Rohit Sharma said that for World Cup selection, players should be judged on the basis of 'performance and form' in the last four years and not on how they perform during the ongoing Indian Premier League. 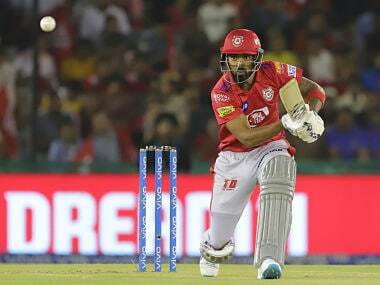 The IPL ends on 12 May, and the World Cup kicks off in England and Wales on 30 May, and national selectors are keeping an eye on the IPL before picking the 15-member Indian squad. The Indian team is a settled matter barring one or two spots, Rohit said, clarifying, “I think we are pretty much settled. A few spots are there which everyone knows about. It all depends on what (the) captain, coach and selectors think about the combination, whether we need to go with an extra middle-order batsman, extra opener, extra seamer or spinner. Conditions in England will matter a lot. I know how it works with the captain. The preference of the captain is very important in terms of that extra player he wants in the squad. 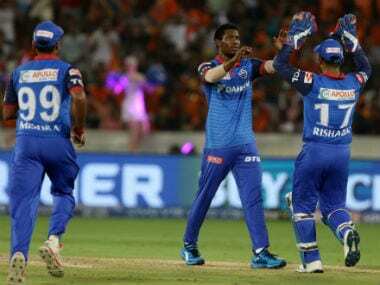 I think Virat and (Indian team's head coach) Ravi Shastri have to decide..."
In IPL news, Sunrisers Hyderabad defeated Delhi Capitals by five wickets in a less than exciting contest on Thursday. 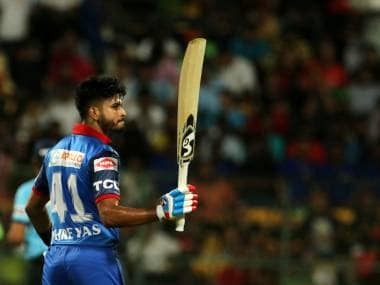 Put in to bat, Delhi Capitals played out a sedate innings on their home pitch, hitting just nine boundaries and four sixes. Openers Prithvi Shaw and Shikhar Dhawan were removed quickly by Hyderabad’s bowlers who conceded a mere 36 runs in the first six overs. On a slow and turning track, Hyderabad’s bowlers varied their pace to bring the run-rate down to a grind. Mohammed Nabi provided the key breakthrough, dismissing Rishabh Pant as the young batsman was looking to go big. DC skipper Shreyas Iyer top scored with 43 runs from 41 balls, but received no support from the rest of the team. They eventually finished with 129/8 in 20 overs, a decidedly under par score. Chasing a meagre target of 130, the Sunrisers once again got off to a strong start. Jonny Bairstow hammered the Delhi bowling, hitting boundaries regularly to help score nearly half the required runs in just the powerplay. When he got out in the seventh over, the SRH score was 64, and he had made 48 of those runs from just 28 balls. David Warner, who witnessed the carnage from the non-striker’s end, fell soon after, making just 10 runs. SRH lost their way a bit, suffering from a minor collapse. Manish Pandey, Vijay Shankar and Deepak Hooda fell in quick succession between overs 13 and 16. It was left to Yusuf Pathan and Mohammad Nabi to ensure that the team got home without any further hiccups. They wrapped up the match with nine balls to spare. After Thursday’s win, SRH have three wins from four matches while Delhi have lost three out of their five matches. SRH now move to the top of the points table while Punjab are in second position. Delhi Capitals are in fifth place.